The world premiere of Sebastian Currier's "Ringtone Variations" for violin and double bass, a work commissioned by the Anne-Sophie Mutter Foundation, provided the prelude for a following Asian Tour with "Mutter Virtuosi" on June 6th in Taipei. 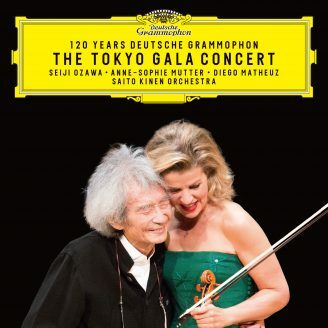 This ensemble under the musical management of the violinist consists of 14 current and former scholarship students of the Anne-Sophie Mutter Foundation. Following the European Tour 2011, this will be the chamber orchestra's second international concert tour. The following video blog is currently being updated almost daily.